While on Central Deputation from year 2007 to 2014, he was the Managing Director, National Horticulture Board, Ministry of Agriculture followed by Chief Vigilance Officer, Food Corporation of India. He started his service in the cadre as Assistant Collector, Gadchiroli district. Thereafter, he discharged various roles and responsibilities such as District Collector and District Magistrate, Ahmed Nagar; Chief Executive Officer of Zilla Parishads of Kolhapur and Nagpur, Managing Director of Maharashtra State Seeds Corporation, Akola; Managing Director, Maharashtra Agro Industries Development Corporation, Mumbai; Commissioner (Agriculture), Commissioner (Sugar) etc. Prior to switching over to Indian Administrative Service in year 1986, he served as a member of IPS (Punjab Cadre) 1985 batch and had undergone first phase of training at National Police Academy, Hyderabad. He also represented Government of India in CODEX meeting organised by USDA at Washington and led Indian delegation under Indo Israel Cooperation Programme in Agriculture Sector. Mr. Chandra Shekhar Rajan is an IAS officer of the 1978 Batch who retired as Chief Secretary, Rajasthan on June 30, 2016. Since then he has been serving as Deputy Chairman, Chief Minister's Advisory Council. During his 38 years in the IAS, he has served for around 14 years in various capacities in Agriculture and Rural Development, 12 years in Infrastructure sectors like Power, Roads, Industries, 5 years in Finance and 5 years in General Administration. He has co-authored a book on 'Farmers Participation in Agricultural Research and Extension'. He has also briefly served as a Consultant with the World Bank. Mr. Rajan was nominated on the Board of the Company by Infrastructure Leasing and Financial Services Limited (IL&FS), Promoter of the Company. Mr. Dilip Bhatia, aged 50 years has over 24 years of experience in accounting & finance. He holds a bachelor’s degree in Commerce from Mumbai University and is an Associate Member of the Institute of Chartered Accountants of India. 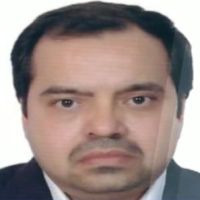 Mr. Bhatia was also associated with the IL&FS Group Companies including in Infrastructure Leasing and Financial Services Limited (IL&FS) from March 1994 to May 2004 and held positions of Chief Financial Officer and Head of Operations. Mr Bhatia was nominated on the Board of the Company by IL&FS, Promoter of the Company.